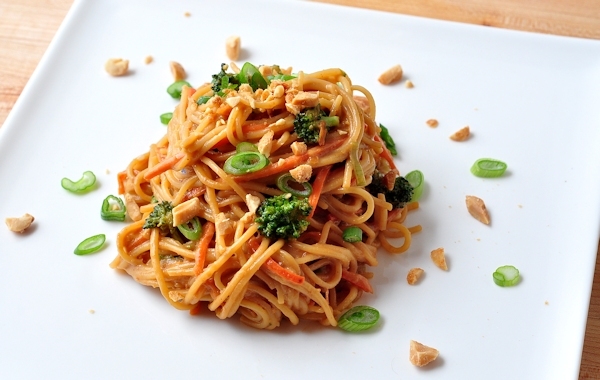 A simple Chinese noodles with peanut butter. Ideal for lunch or dinner. 1. Mix the peanut butter and soy sauce in a pan. 2. Add the brown sugar, garlic, sesame oil, ginger, garlic, red chilli flakes and spring onions. 3. Mix well and place it over low flame. 4. After a minute, add the spaghetti and mix well until evenly mixed. 5. Garnish with spring onions. 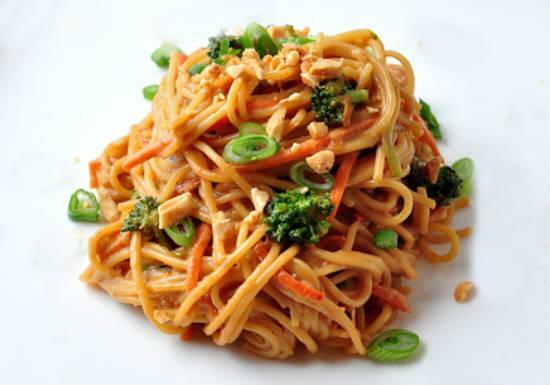 Feel free to comment or share your thoughts on this Spicy Peanut Noodles Recipe from Awesome Cuisine.